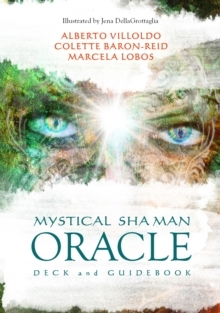 Three master teachers and healers - Alberto Villoldo, Colette Baron-Reid and Marcela Lobos - have brought their wisdom and talents together to create this gorgeously packaged oracle deck. Alberto and Marcela contribute their decades of knowledge and experience with indigenous shamanic practices; Colette offers her extensive expertise with divination tools. The result is a deck unlike any other, featuring powerful beings, animals and natural forces from cultures across the globe.